I was flipping though a Betty Crocker cookie cookbook the other day and thought I’d adapt a toffee bar recipe to make a sweet treat for Charles and me. I scaled down a bar cookie recipe and made a few adjustments to create these toffee bites. 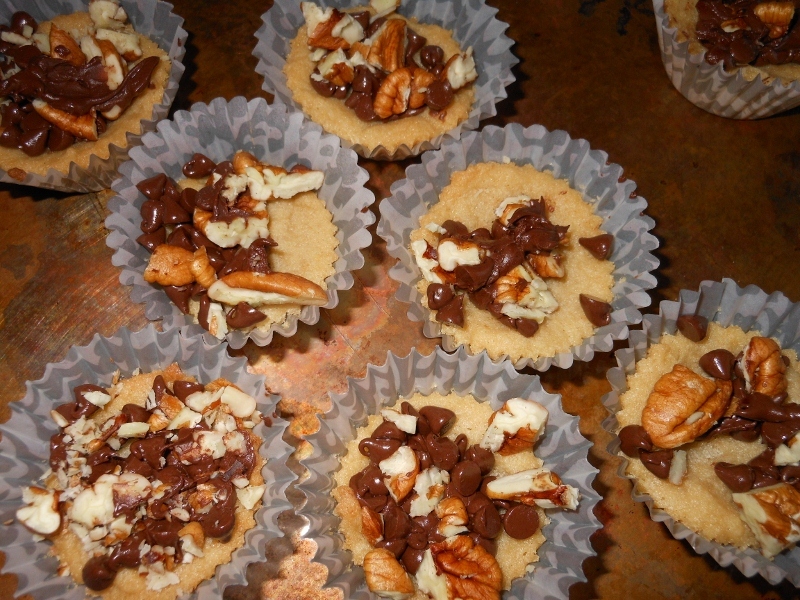 Mini muffin liners worked perfectly to make the bite sized treats. The most interesting thing I did find in this book though was the emergency substitutions chart. The “best substitution ever” was there; to substitute for one whole egg use two egg yolks …. now I hate to point out the obvious but if I haven’t an egg to begin with where on earth will I get the yolks in an “emergency”! 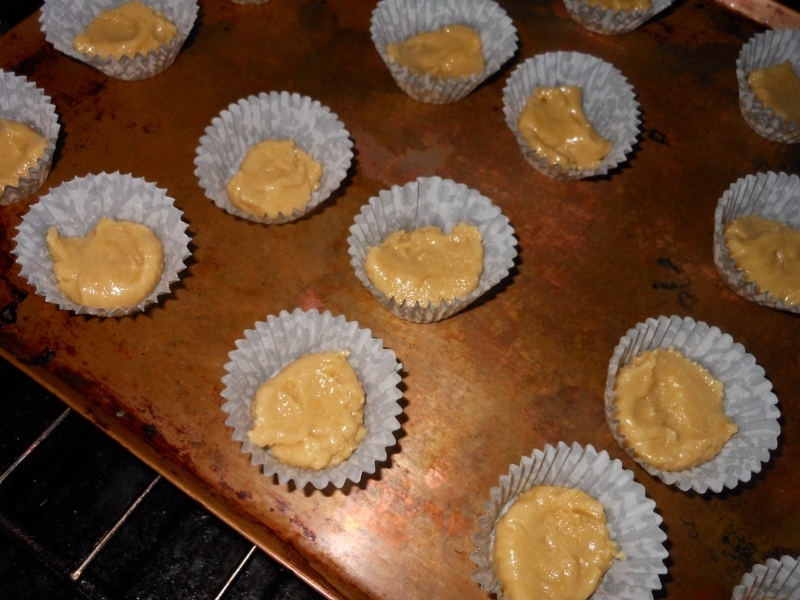 Mix together brown sugar, butter, vanilla, and egg yolk. Stir in flour. 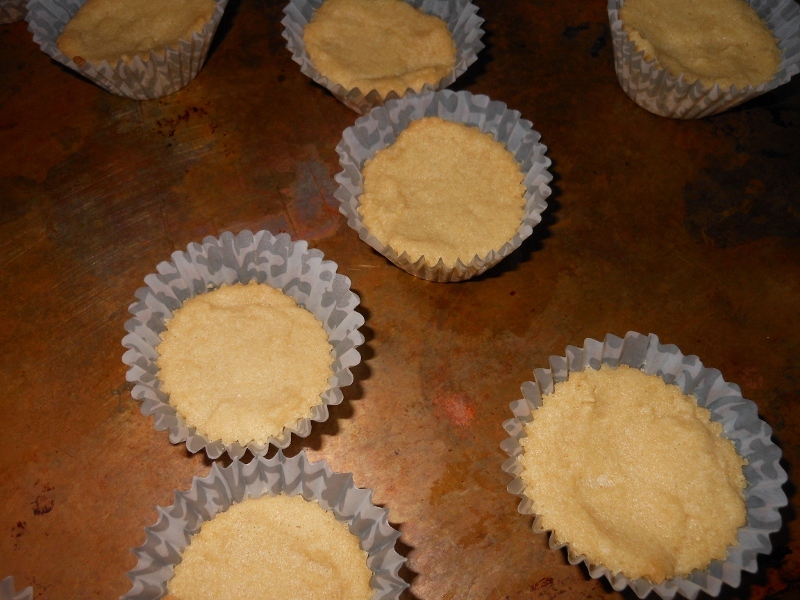 Divide batter into about 2 dozen mini muffin paper liners; I just placed them on a baking sheet. Immediately after removing from oven divide chocolate chips between crusts; sprinkle nuts on top and press down gently with back of a spoon to firm in place. Allow to cool on wire rack and refrigerate if desired. 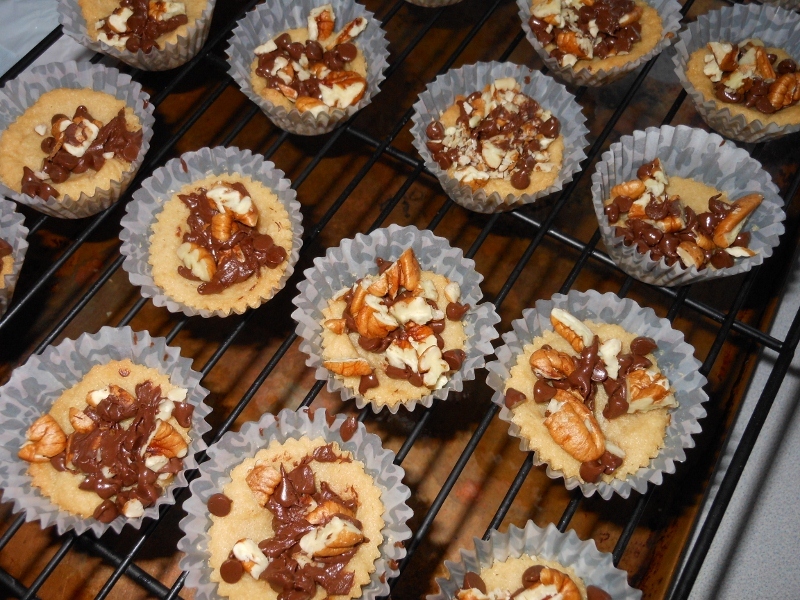 This entry was posted in Desserts, Recipes and tagged brown sugar, chocolate chip, chopped pecans, cookie, dessert, food, mini chocolate chips, muffin paper liners, pecans, recipe, sweet, toffee bar, toffee bar recipe, toffee bites. Bookmark the permalink.